We are a not4profit foundation whose goal is to better the lives of the children who attend the SKY (Sarah-Kendra-Yuki) primary school in Shikharpur, Nepal. We are motivated in this endeavor because on August 24, 2010 the Agni flight from Kathmandu to Lukla crashed in the Bakaiya Thakur primary school yard in Shikharpur, Nepal killing all 14 persons on board. 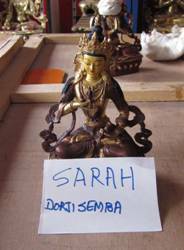 The parents of Sarah Sherpa (22 year old Nepalese air hostess) were inspired to build a Stupa after traveling to the crash site to performed Pūjā, a ritual offering in remembrance of and venerating the departed. 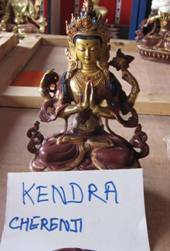 The parents of Kendra Fallon (18 year old American student) and Yuki Hayashi (19 year old Japanese student) joined with the Sherpa family to fund the construction of a Buddhist Stupa on the exact site of the crash. The Shikharpur village is predominantly Buddhist and creating a symbol that is acceptable to them was the main reason why we decided to fund construction of the Stupa, the oldest Buddhist religious monument. The Stupa was built to bring peace and harmony to the village and free the souls of those who passed away in that village. 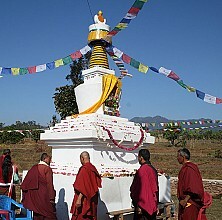 The Lama Ang Dawa was responsible for the Stupa’s construction with all the attendant protocol, ritual and ceremony. The Stupa has multiple Lord Buddha statues inside, one for each of our children. The names of everyone on the ill-fated flight are on a plaque at the Stupa gate to be remembered forever. 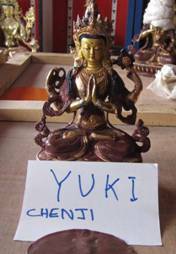 It is a great work or good deed to build a Stupa. The 5th reincarnation Rinpoche has shown great happiness and blessed us for bringing a bright light to the village. There is an annual memorial ceremony at the Stupa. 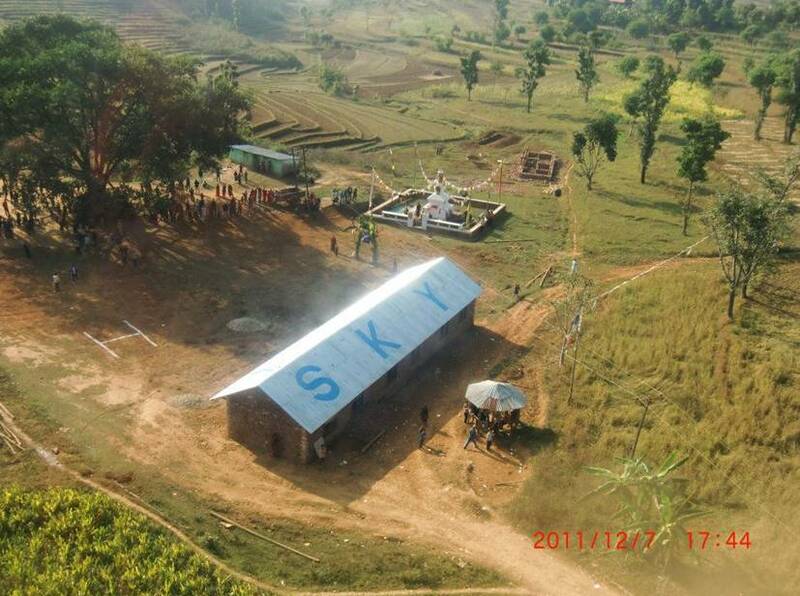 Since the site of the crash is on the property of the school, the Shikharpur VDC (Village Development Committee) agreed to donate 150 square meters for the Stupa in return for financial support for the school. So the parents of Sarah, Kendra, and Yuki (SKY) created an endowment for the school and the Shikharpur VDC agreed to rename the Bakaiya Thakur school, the SKY school in remembrance of those who lost their lives on that tragic morn. With the endowment the school has been rebuilt, furnished, text books and clothing have been purchased, and teachers have been hired. We are now parents to the 300 boys and girls of this village. We feel satisfied and want others to feel the same happiness by giving something to these children. Our foundation is involved with all nine wards of the Shikharpur VDC supporting education, agriculture, and the public health of these communities. We’re especially focused on uplifting the lives of the women and young girls. We want our foundation to raise the living standard of the villagers by selling their agriculture products at deserved prices and at the right market. It can be done. Presently these villagers are exploited by shrewd merchants. We are also soliciting funding to upgrade the 15 kilometer Hattisude-Bastipur road to the village. We have many ambitions for Shikharpur and the SKY school and we seek the support of everyone.